The LEONHARDY VP brush manufactory, family –owned since more than 100 years, is characterized by tradition and progress. In 1889, 15 brush manufacturers joined in Nürnberg under the governance of Hans Leonhardy to the VEREINIGTE PINSELFABRIKEN (VP). Since then, the company is owned and run by the Leonhardy Family. From the beginning, Leonhardy-VP is producing a wide range of brushes to provide the right "tool" for all applications. With 120 years of experience in brush manufacturing and a young team of factory-trained brush makers, we still meet these requirements. 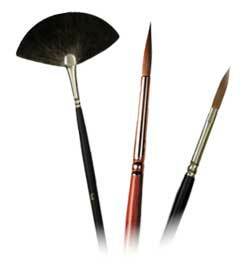 In all fields, we offer a wide choice of Leonhardy-VP brushes as well as customized solutions. Everybody who is seeking highest quality at reasonable prices is at Leonhardy-VP in good hands. This we undertake with our name.